I know. We have been gone for a while. We have been slammed with work over the past 8 weeks or so and its been a quite a few late nights and here at the shop and writing posts just hasn’t been top priority. We did find a couple of guys to work part time hours for us and are really thankful for them. They have helped us out tremendously. We reached a pretty big milestone with the Ghia this week. As you can see its back on all fours. But lets back up a bit to see what all as been done. 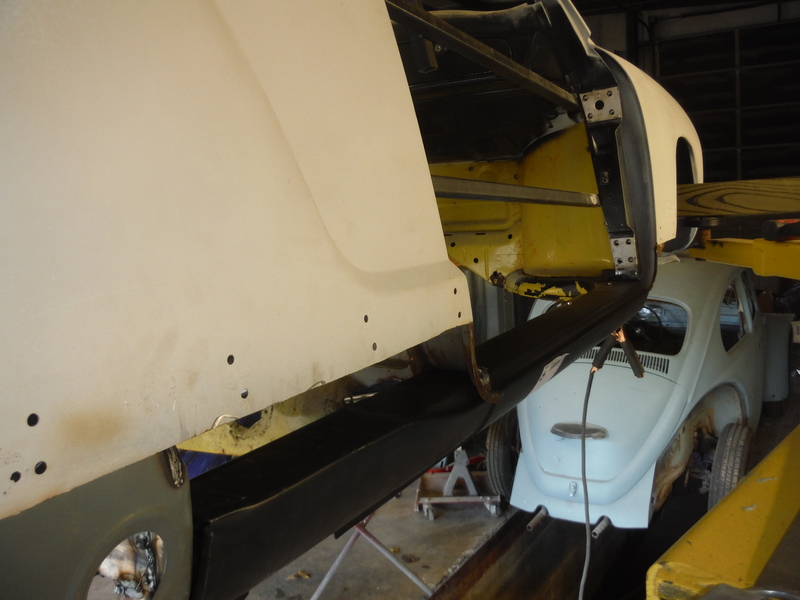 We ordered a narrowed and adjustable front beam for this Ghia. 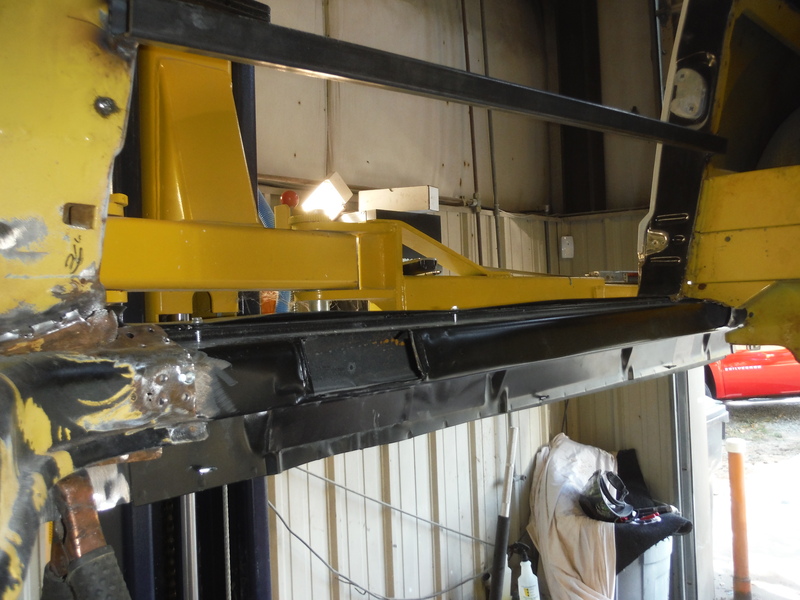 The owner wanted it to sit lower than factory and an adjustable beam is the best way to get it there. The reason its narrowed too is because when you lower them, the tires sometimes rub on the fender wells. You narrow it to move the wheels in some to allow for some clearance there. This also opens up more options for different wheels and tires if she desires. We also replaced the tie rods, tie rod ends, new leaf springs, new steering damper, sway bar and master cylinder. We also installed the newly rebuilt pedal assembly along with a new clutch cable and throttle cable. While we were at it, we also replaced the heater box cables. On the dash, we did away with a few holes that will be no longer needed and added one for the Bluetooth microphone. We also had to clean up the radio hole a bit. It was cut a little too large the first time, so we added some metal and reshaped it for a nice fit. While working on the dash we also added a lighted accessory plug to charge cell phones or plug in a GPS. 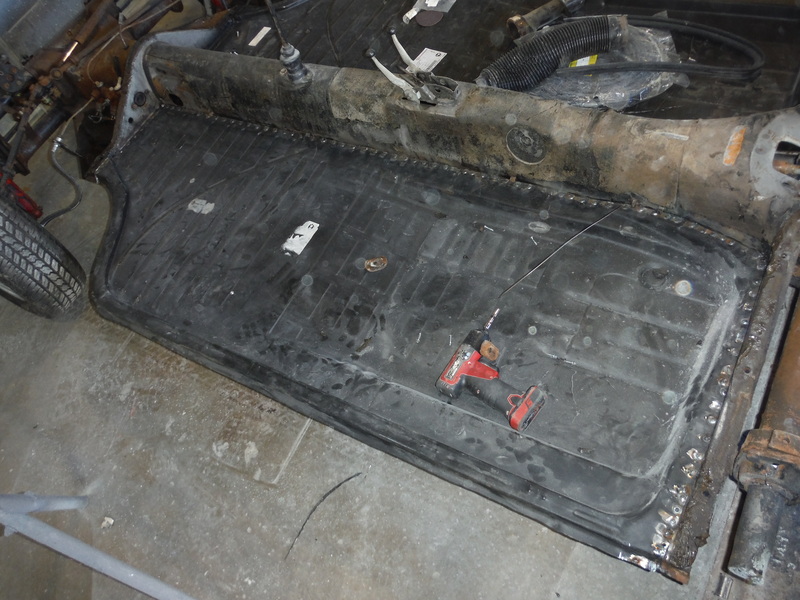 A new pan gasket between the body and pan is held into place with all new body bolts. Our agenda holds this car getting primer on Friday or at least by the first of the week if Murphy shows up with that law of his. Today was trim out day for the Ghia We had these panels ready for paint for a little while now but just havent had a chance to get the sprayed. Today that happened. We spent the morning prepping them and this afternoon we were able to get them into the booth and painted. The owner picked this very classy looking Nissan color which I think will look very nice. She has also decided to lower the front end just a bit which I think is a great idea. We have all of those parts on order and they should arrive in a few days. Once those are here we will rebuild the front end . We still have a little custom work to do to the dash then the body will be ready for primer. We will need to mate the body back to the chassis before we prime it but after the front end is built. Enjoy these painted parts in the meantime. The body work on the Ghia is pretty much complete. We have all of the body panels straight and ready for the the final prime. We will find a small area here or there while prepping the body for primer but for the most part, its ready. In these pictures show that we still have to sand everything down with 180 before priming. We did get a bit of that done today but not quite the whole car. We also still need to sand the jambs and the dash before priming. We do hope to have that done over the next couple of days. It is a relief though to know that the hard work has paid off and the body is straight and solid. We have been putting in some time on the Ghia this week as well. We have the front signals filled in and all smoothed up. We also welded in a new piece at the right front corner of the hood. There was a hole there where the nose, fender and hood meet. 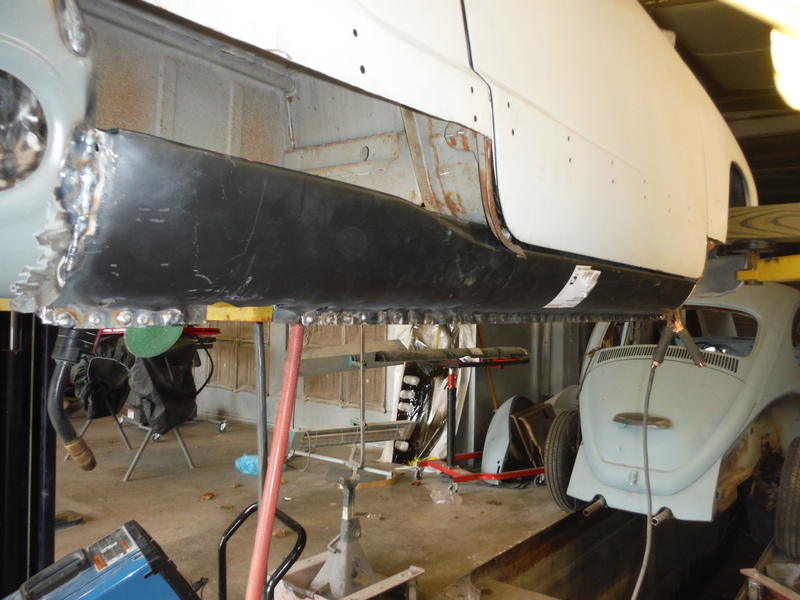 We have decided that the lower front center section is just too thin to try to keep welding up. Last week a new piece was ordered for that, you can see it in the last picture. We will end up cutting some of that off and only use what we really have to. We will also be ordering up the early round style front turn signals to replace the large rectangle ones we removed. 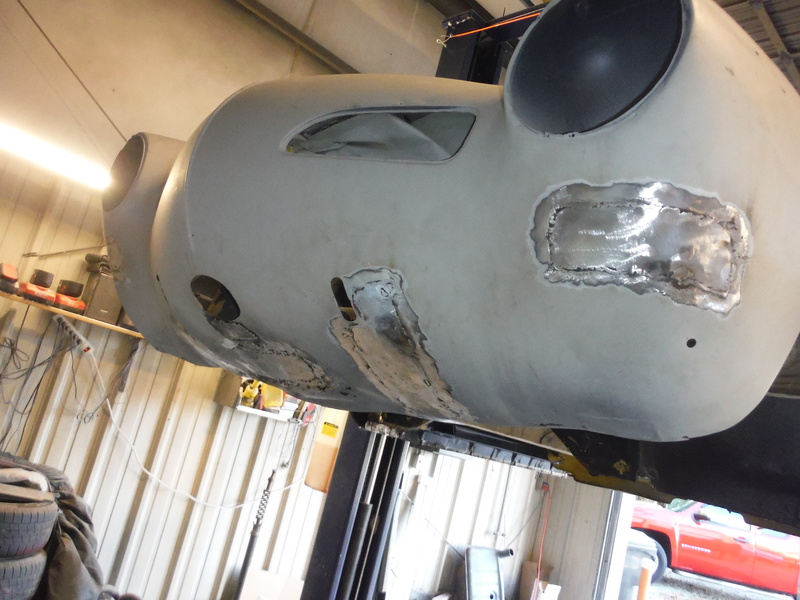 We also continued the body work and sanding over the rest of the car. This process seems to take for ever but its very important to be sure we get the body as straight as possible to ensure quality results. Today was dedicated to the Ghia. We had some lose ends first thing this morning to tie up on another job that was picking up today, but after that, we were all in on the Ghia. 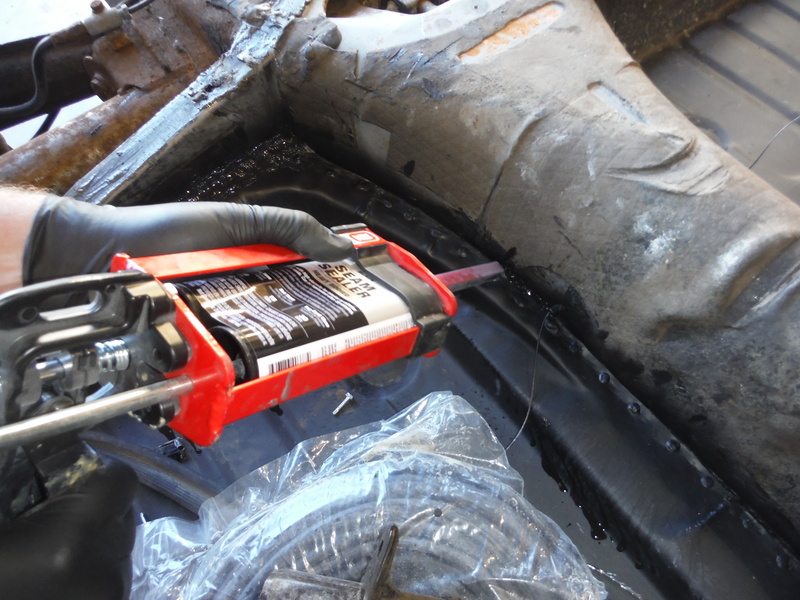 We started by applying the Metal ready product to our welds to ensure great adhesion and a water tight seal. 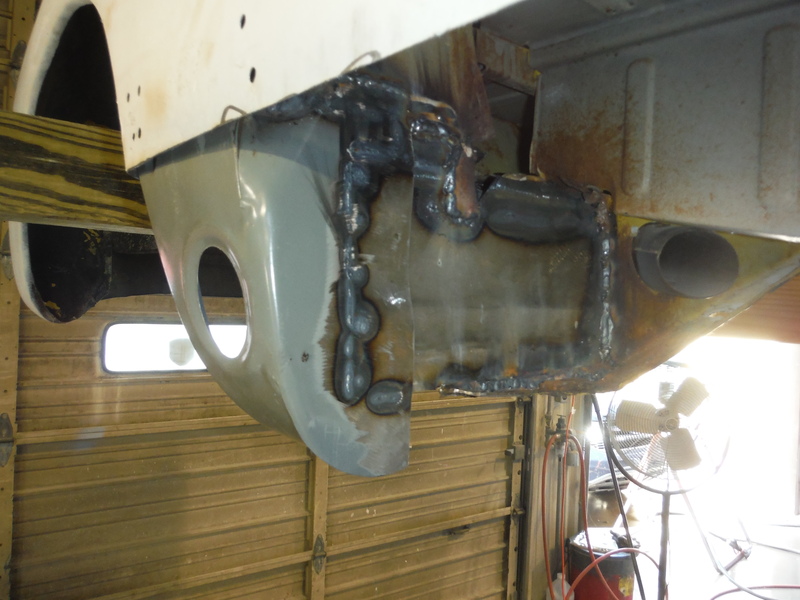 Its personal preference really, but we dont like putting body filler over areas that have been welded. We use Metal Ready for the initial fill, then body filler if needed to smooth the rest up. Thats what you will be seeing here. We did find an area on each door that needed a small patch. One picture show the bad cut out. Not sure why the car rusted here but they were both the same way. As you can see we did get one side cut out and even welded in but my camera died before I could get that picture, so you will see that on Monday. We also applied some body filler to finish straightening out the high and low spots on both doors and was able to get that blocked out and looking nice. We did make great progress on these today and it should continue next week. After being slammed with collision work for the past few months and some unforseen circumstances, we are back on the Ghia today and and we’ve made some progress. We have been working on it a little over the past few weeks but we were fighting the fitment of the heater channel. Well today we muscled that thing into place and were happy with the fit and stated welding it in. The first piece to be welded in was the grey part in the last two images. 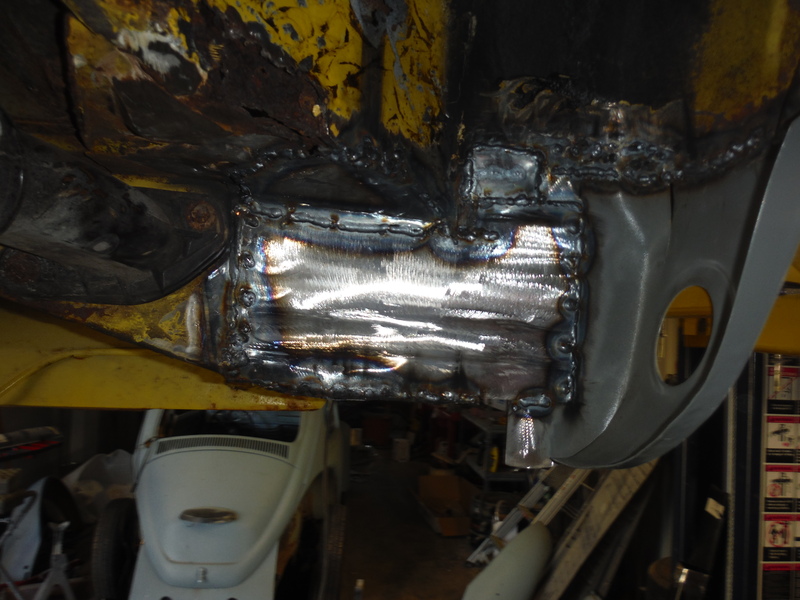 Once that is tacked into place, we started welding in the heater channel. We did get pretty well done today, but still have a few welds before moving on to the outer rocker. Tomorrow’s plan is to make a few patch panels and have them ready for Thursday. I will be off tomorrow but will be back on this car for the rest of the week. Lots of good work on the Ghia today. 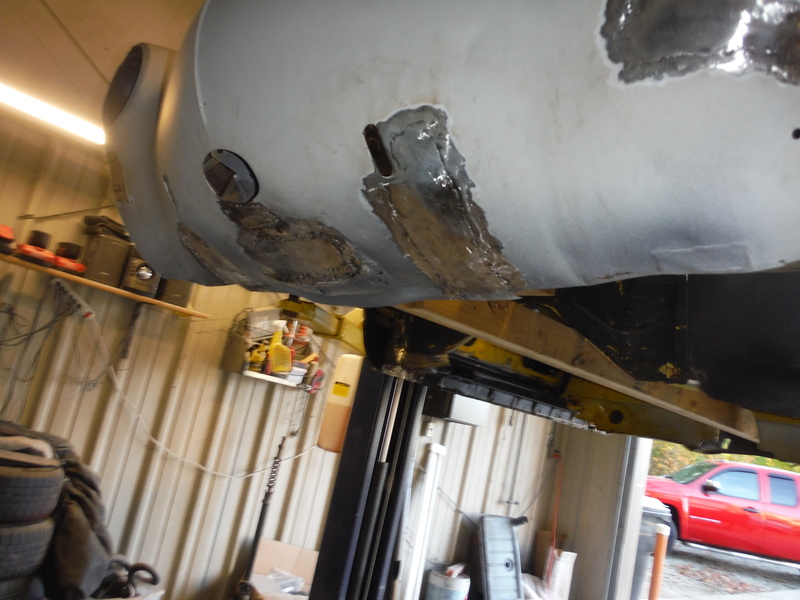 Chris pulled the right floor pan this morning and welded in the new one. After they were welded in, Chris etched primed the welds and then seam sealed them to ensure no water gets in there. These new pans do not come with the seat rails, so he also cut out one of the rails and welded it in after carefully measuring it to make sure it was in the correct place. 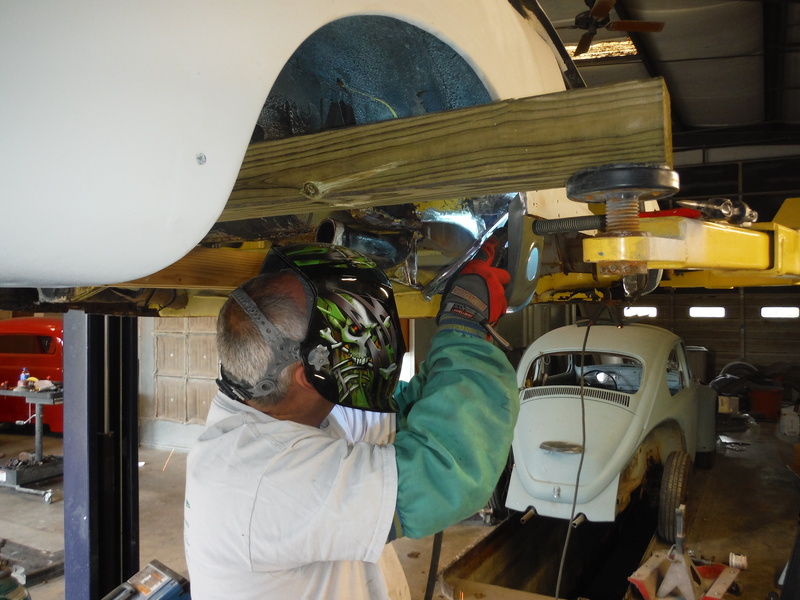 While that work was going on, we were also finishing up the rust repairs started yesterday on the lower front. 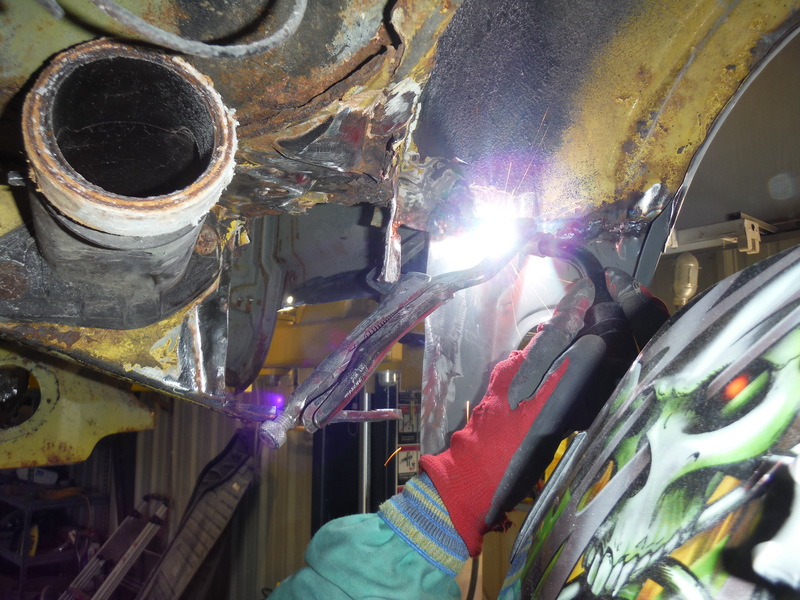 In between the welding and grinding steps on the front, we cleaned up the welds on the quarter and swiped a coat of All Metal on them. This filler is super strong, has excellent hold out from shrinkage and its waterproof. Next we will block the All Metal out and finish it off with regular filler. We will keep moving around the car until we have all of these areas addressed. Its a long process but things are moving along. Another productive day on the Ghia. 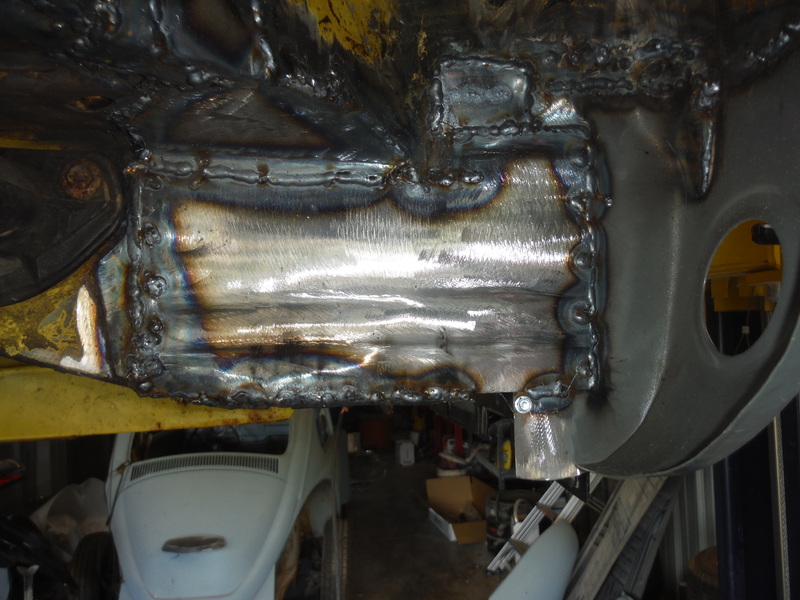 Today we welded in the inner channel and the outer rocker skin after we made patches for the front inner structure. The door was fit first thing this morning, and fit quite well. We did have some manipulating to do, but all in all it was a good fit. After that I started welding while Chris made a few patch panels for the front. 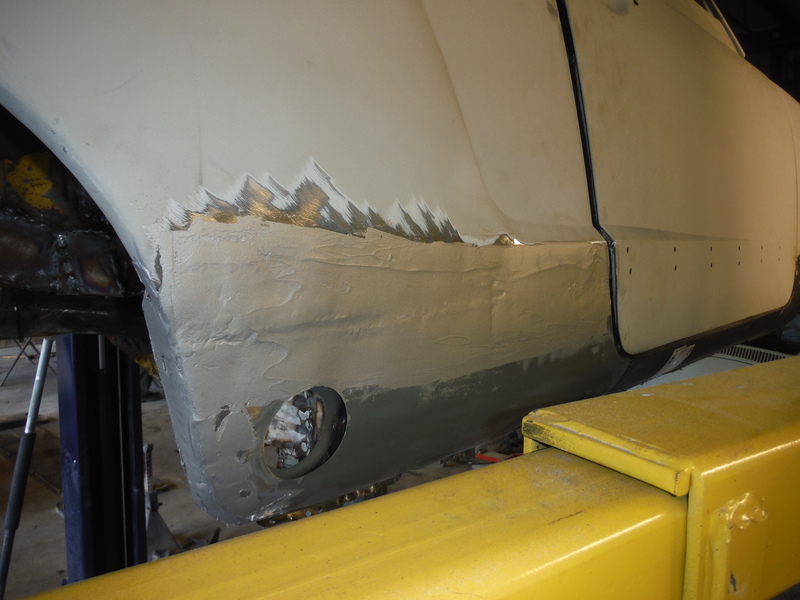 Tomorrow we will fit the outer lower quarter and outer lower fender and get those welded on. That will wrap up this side. 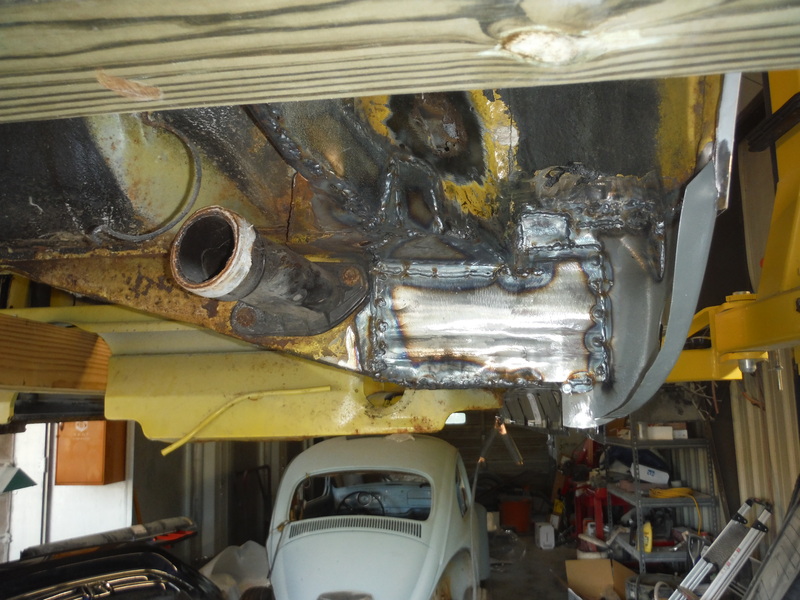 Lots of welding today on the Ghia. Yesterday we cut out all of the old rusty rockers and heater channels on the right side. 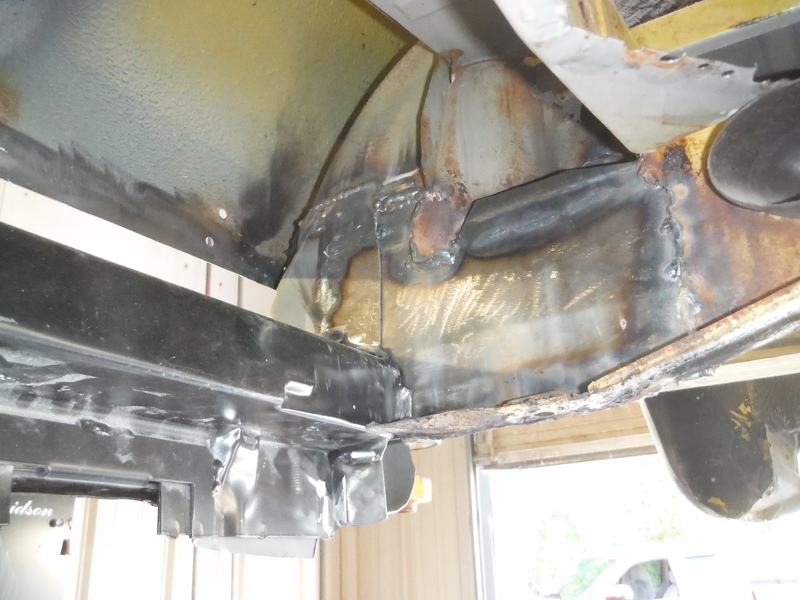 Before those can be welded in, we had to be sure what they welded to, was structurally sound. So today thats what we focused on. The rear inner fender had several hole and thin metal that needed replacing. Unfortunately they dont make these patch panels so we had to make them. 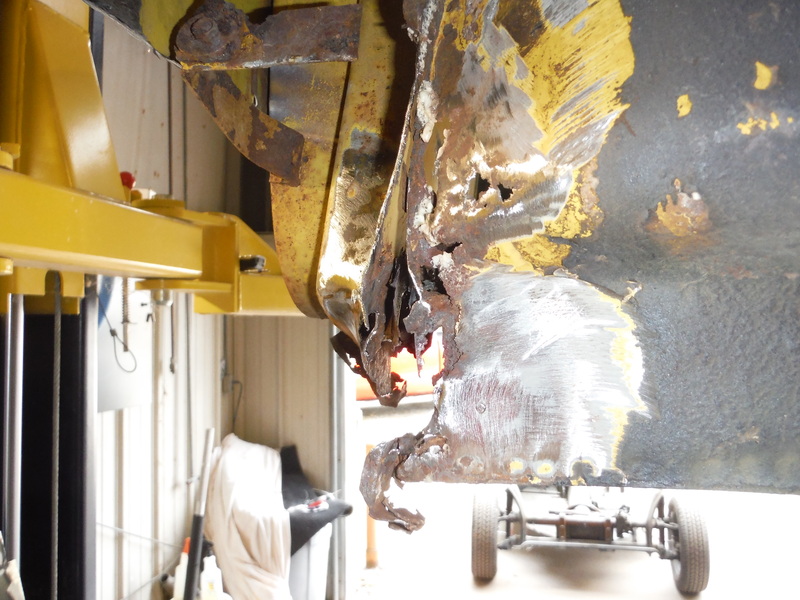 The first thing we welded in was the lower quarter backing plate. We could then use that as a guide on where all the other metal will meet up to. This is the grey part with the big hole in the center of it. Once that was in, the other bad metal was cut out and patch panels were made to match the old pieces. 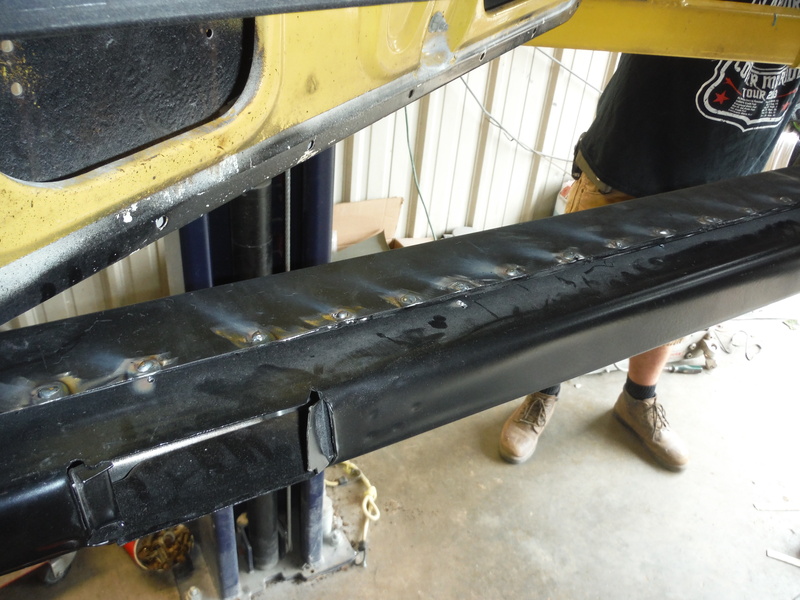 After the patches were completed in the back, we test fit the heater channel and outer rocker panel. These parts went in nicely. They are screwed in for the time being because tomorrow we will reinstall the door to make sure we have proper fitment. If that goes well, we will go ahead and weld up the new channel and rocker. We will have to make some patch panels for the front fender area like the ones we made in the rear but we will do that after the rockers are installed. Once all welds are done on this side, we will grid them down some to smooth them up. 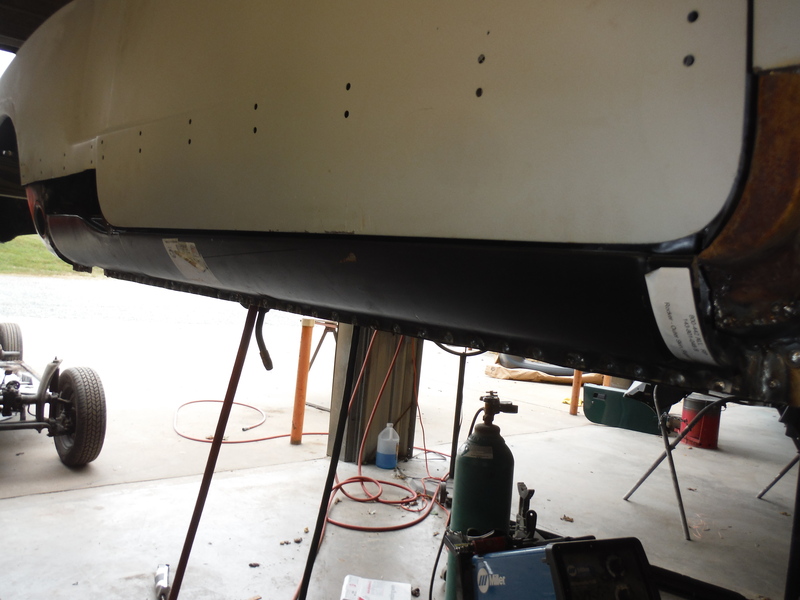 We will then paint these bare metal parts with PPG’s DP epoxy primer. 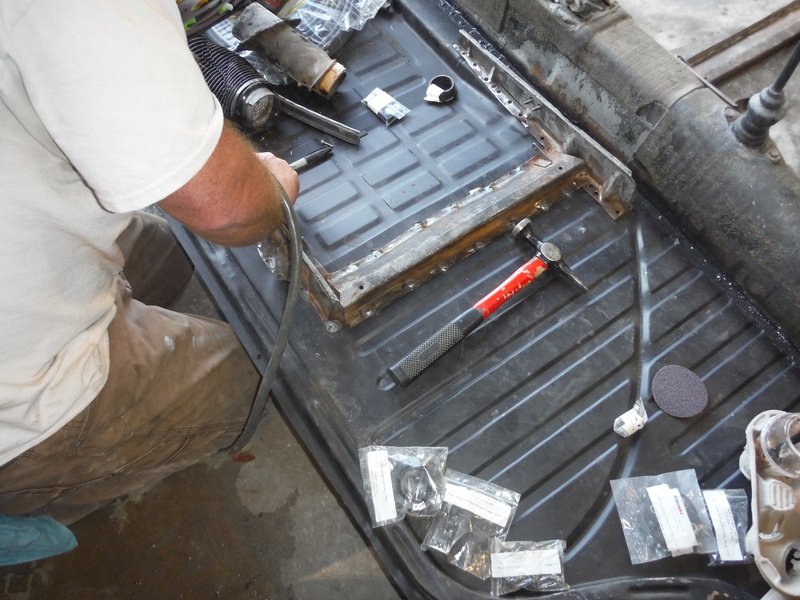 We will then seam seal the welds up to keep all water from getting in there. This is a great preventative measure to keep this car from rusting in the future.